Aiken, Charlotte Rankin, Millinery. New York: Ronald, 1922. Beckmann, Johann. A History of Inventions, Discoveries, and Origins. Trans. William Johnston. London: Bohn, 1846. Boyd, Andrew. Boyd’s New York State Business Directory and Gazetteer. Syracuse: 1870. Brockett, L. P. Md.. The Silk Industry in America; A History: Prepared for the Centennial Exposition. New York: Nesbitt, 1876. Brockett, L. P., A History: Prepared for the Centennial Exposition. New York: Nesbitt, 1876. Brockett, L. P., The Silk Industry in America – A History Prepared for the Centennial Exposition. New York: Nesbitt, 1876. Census for the State of New York, for 1855. New York, 1856. Chittick, James, Silk Manufacturing and Its Problems. New York: Chittick, 1913. Cole, George, A Complete Dictionary of Dry Goods, and History of Silk, Cotton, Linen, Wool and other Fibrous Substances. Chicago: Conkey, 1892. Cowdin, Elliot C. Report to the Department of State on Silk and Silk Manufactures. Washington: 1868. Cowdin, Elliot C. Reports of the United States Commissioners to the Paris Universal Exposition, 1867. Report on Silk and Silk Manufactures. Washington: Government Printing Office, 1868. Cowdin, Elliot. Paris Universal Exposition, 1867. Reports of the United States Commissioners; Report on Silk and Silk Manufacture. Washington, D.C.: Government Printing Office, 1868. Cowdin, Elliot. Report to the Department of State on Silk and Silk Manufactures. Washington, D.C.: 1868. Davidson, Mary M. Silk: Its History and Manufacture. Junction City, Kansas: Wadleigh, 1885. Davidson, Mary M., Silk: Its History and Manufacture, From the Earliest Ages to the Present Time. Junction City, Kansas: Wadleigh, 1885. Fourth Annual Report of The Silk Association of America. New York: Nesbitt, 1876. Freedley, Edwin Troxell. Philadelphia and its Manufactures. 1857. Freedley, Edwin, T., Philadelphia and its Manufactures: A Hand-Book. Philadelphi: Young, 1858. Garbutt Store Ledgers.1850-1870. Wheatland Reading Room. Gazetteer and Business Directory of Monroe County, N. Y. for 1869- 70. Gazetteer and Business Directory of Ontario County, N.Y. Syracuse: Hamilton Child, 1867. Harstmann, W. J. United States Patent for Narrow Ware – Patent #19,698; patented March 23, 1858. Hickling, W., The History of Coventry. Coventry: Hickling, 1846. Howell, Mrs. M. J. The Handbook of Millinery. London: Simpkin, 1847. Howell, Mrs. M. J.. The Hand-book or Millinery. London: Simpkin, Marshall, & Co. 1847. Kennedy, Joseph C.G. Manufacturing Census of the United States in 1860. Washington, D.C.: 1861. Kettell, Thomas P. Ed., The United States Economist, Dry Goods Reporter. New York: Kettell, 1854. Knight, Charles, ed., Arts and Sciences. London: Bradbury, 1868. Knight, Charles, Knowledge is Power: A View of the Productive Forces of Modern Society. Boston: Gould & Lincoln, 1856. Leslie, Eliza. Miss Leslie’s Lady’s House-book. Philadelphia: Hart, 1850. 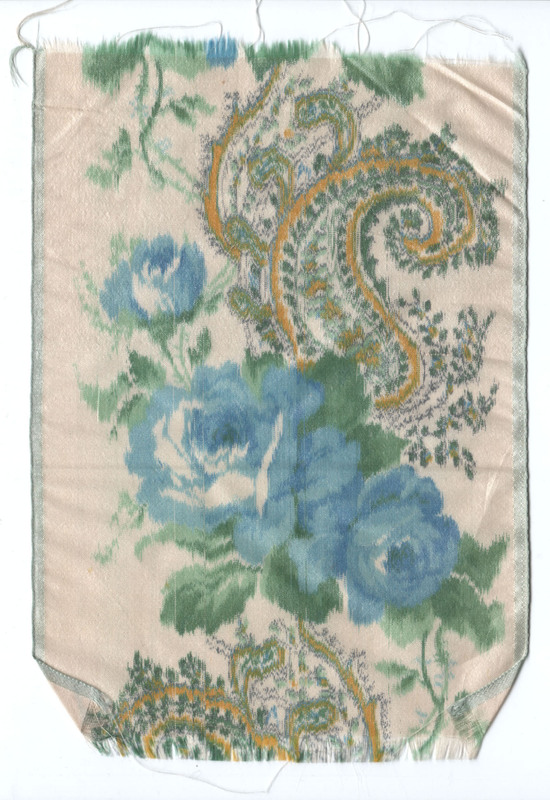 Lilly, A. T., The Silk Industry of The United States: From 1766 to 1874. New York: Jenkins & Thomas, 1882. New gazetteer and business directory, for Livingston county, N.Y., for 1868 G. Emmet Stetson Geneva, N.Y.: R.L. Adams & son, printers 1868. Otis, Belle, The Diary of a Milliner. New York: Hurd & Houghton. 1867. Patents for Inventions. Abridgements of Specifications Relating to Wearing Apparel, Division 1, Head Coverings, A.D. 1637-1866. London: Office of the Commissioners of Patents for Inventions, 1874. Penny, Virginia. The Employments of Women: A Cyclopaedia of Woman’s Work. Perry, Lorind PhD. Millinery as a Trade for Women. Women’s Educational and Industrial Union. Longmans, Green and Company: Boston, 1916. “Ribbon Manufacture” Dictionary of Manufactures, Mining, Machinery and the Industrial Arts. George Dodd, ed. 1869. Ripley, George and Charles A. Dana, eds. The New American Cyclopaedia: A Popular Dictionary of General Knowledge. Voumel XIV. New York: Appleton, 1862. Stephens, Ann S. and Charles Peterson, eds., Ladies National Magazine. Philadelphia: Peterson, 1844. The Draper and Clothier: A Book of General Information for All Traders in and Purchasers of Textile Fabrics, Vol II. LondonL: Houlston and Wright, 1861. The Ladies’ Companion and Monthly Magazine. London: Rogerson & Tuxford, 1855-1865. The Penny Cyclopaedia of the Society for the Diffusion of Useful Knowledge. London: Knight, 1841. “Silk and Silk Manufacturers” Manufacturer and Builder. July 1, 1875. “The Silk Manufacture of the United States” Manufacturer and Builder. March 1, 1870. The Southern Business Directory. Charleston: Walker & James, 1854. The United States Magazine. New York: Emerson, 1857. The Useful Arts Employed in the Production of Clothing. London: Parker, 1851. The What-Not; or Ladies’ Handy-Book. London: Kent, 1863. Thompson, Eliza B., Silk. New York: Ronald, 1922. Thompson, Eliza B.. Silk. Ronald Press Company: New York, 1922. Thornwell, Emily. The Lady’s Guide to Perfect Gentility. New York: Derby & Jackson, 1856. Townsend, Virginia and T.S. Arthur, eds., The Lady’s Home Magazine. Philadelpia: Arthur, 1858-1860. Van Kleeck, Mary, A Seasonal Industry: A Study of the Millinery Trade in New York. New York: Russell Sage, MCMXVII 1917. Van Kleeck, Mary. A Seasonal Industry: A Study of the Millinery Trade in New York. Russell Sage Foundation: New York, 1917. Wheatland Store Ledgers. 1850-1870. Wheatland reading room. Wychoff, William, Eighth Annual Report of the Silk Association of America. New York: 1880. Wychoff, William, Silk Goods Directory. New York: 1880. Wychoff, William, Silk Goods Directory. New York: 1887. Wychoff, William, Silk Manufacture in the United States. New York: 1883. Wychoff, William, The Silk Goods of America: A Brief Account of the Recent Improvements and Advances of Silk Manufacture in the United States. New York: 1880. Wyckoff, William C. American Silk Manufacture. New York & Trenton, NJ: Murphy Pub. Co1883. Wyckoff, William C. American Silk Manufacture. New York & Trenton, NJ: Murphy Pub. Co1887. Wyckoff, William, American Silk Manufacture. New York: 1887. We all know how hard it is to find modern ribbons that even come close to 19th century millinery ribbons. Here are some hints for Achieving The Look. Brocade . In the early part of the last century a favourite but costly stuff for dresses was formed of gold, silver, and silken threads, enriched with flowered ornaments of the same materials: this was called brocade. At the present day, however, all stuffs, grograms, satins, taffetas, and lustrings are called brocades, if they are adorned with flowers or other figures. Damask is a term generally applied, not so much to the weaving of threads of different colours, as to the formation of a pattern by peculiar mode of weaving threads of the same colour. 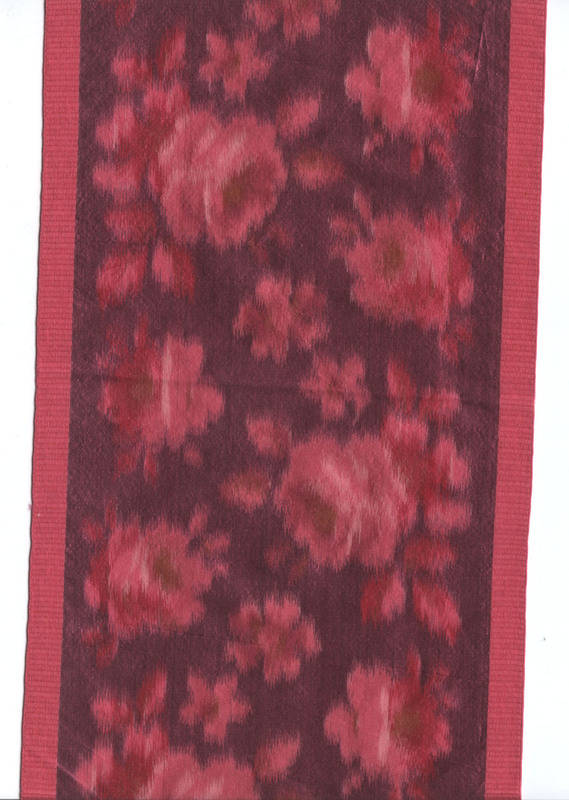 Table-cloths present a beautiful instance of this in linen; and the furniture employed frequently for beds, windows, sofas, and chairs, illustrates the same peculiarity in silk. Such fabrics are not much used at the present day for ladies’ dresses. Gauze is a material in which the smallest quantity of silk is employed for a given size of woven fabric. This is effected by having very perceptible interstices between the threads; and as these interstices would much weaken the gauze if woven in the usual way, the threads are, by a peculiar arrangement of the loom, made to cross and loop over each other, something like the threads of a net. This entwining of the threads may be easily seen on looking at a piece of gauze. Bombazine is a mixture of silk and worsted: the former in the warp, and the later in the weft. Originally these were made only black, and used for mourning; but at the present day they are woven of a grayish colour, and afterwards dyed to any other that may be desired. The manufacture has been almost wholly removed from Spitalfields to Norwich. Poplin and Lustre are the names of two other kinds of goods in which silk and worsted are combined; but the proportion of silk is larger than in bombazine. Norwich shawls have within a few years risen to great celebrity: They are composed of silk mixed either with cotton or with worsted. Persian, sarsenet, Gros-de-Naples, ducape, &c., are the names of many varieties of silk goods which do not differ in the mode of manufacture, but in the quality or quantity of the material used in them. Persian is a very inferior and flimsy kind of silk used for the commonest purposes where strength is not required. Sarsenet is somewhat stouter, and used for better purposes. Gros-de-Naples is much superior to both of them, being made with better silk, and a greater number of threads being woven in a given space. Ducape is also a stout silk, but of a softer texture than Gros-de-Naples. Levantine is a stout twilled silk. Gros-des-Indes is a silk of which the weft is composed alternately of different colours, so that the material appears striped in the direction of the width. Satin is a twilled silk, which owes it peculiar lustre to the number of threads of warp which are passed over by the weft, before it passes under one of them: sometimes the thread passes over as many as eight warp-threads before it interlaces, and thereby presents a glossy surface to the eye. When it comes out of the loom, satin frequently presents a slight degree of roughness or flossiness, on account of the comparative infrequency of the interlacings of the weft with the warp. To remove this, the satin is passed between heated rollers, by which the face is smoothed down, and the surface receives that beautiful lustre which belongs so peculiarly to satin. Chine – A fancy ribbon where figures are painted or printed on the warp while it is on the ribbon. Ferrets – Ribbons which are coarse and narrow, shot with cotton. They are used for shoe-strings and bindings. Floret Gauzes and Taffeties – Light ribbons made with organzine warp and marabout weft. In other words, the warp of a sarsenet ribbon and the weft of a gauze ribbon. Galloons and Doubles – Ribbons which are strong and thick. These were used for bindings and shoe strings. Galloons are the narrower ribbons. Doubles are the broader ribbons. Grogram – “By grogram (French gros-grains) is meant a variation of the texture, caused by the warp-threads passing over two of the shoots at once, taking up one only: this often finishes the edges of a ribbon.” 1844, The Penny Cyclopaedia. 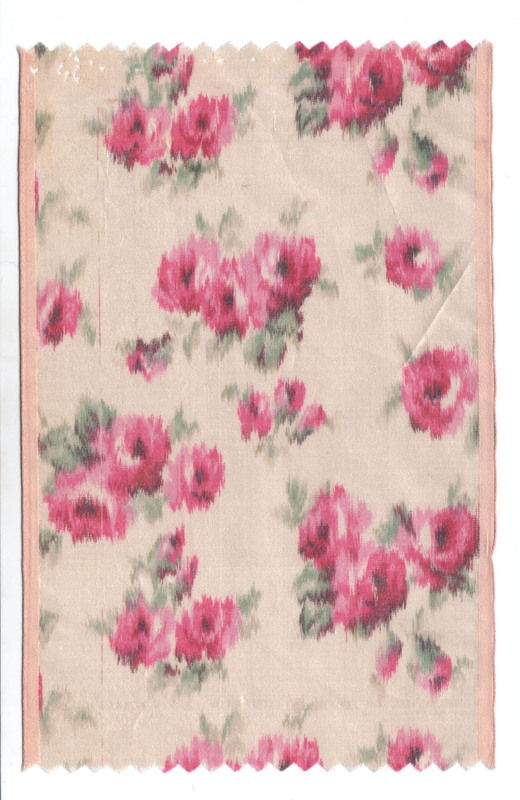 Loves – A gauze like ribbon made organzine and hard dyed weft. These are considered an inferior gauze. Moiré Antique or Long Moiré ­– A coloring technique using an engraved brass roller paired with a plain surface. The ribbon is passed under the engraved roller under great pressure. The coloring is “more scattered, longer and in finer, but not less effective, lines” than other moiré techniques. (Cole, George S.. A Complete Dictionary of Dry Goods and History of Silk, Cotton, Linen, Wool and other Fibrous Substances. Chicago: W. B. Conney,1892)Purl or Pearl Edge – A type of ribbon edge of small, fine loops. This effect is created by weaving the edge over horse-hairs which are later removed. 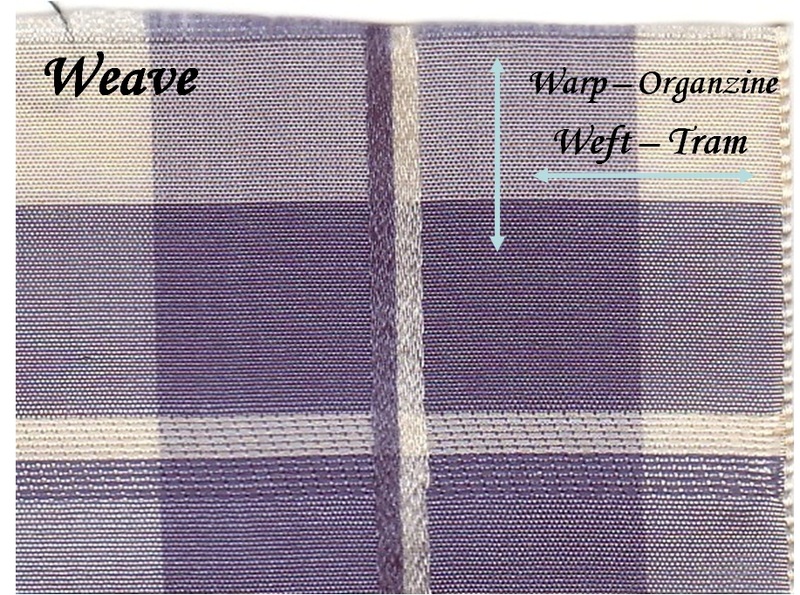 Sarsenet – Plain weave ribbons with regular alteration of warp and weft. Generally wider than 12d (1 7/12 inches ) and “in general of stouter make.” These are the most common ribbons found. Shot – A ribbon with variation in colouring where the warp and weft are different colors. Taffetas – A plain weave ribbon with about 51 threads per inch. Ribbons are woven similarly to silk fabric. Warp threads run the length of the ribbon. Weft threads run the width of the ribbon. In ribbons, the warp is also be called organzine; the weft is called tram. Marabout is used for gauzes. It is from fine white silk which has not had the gum boiled off. Mansfield Silk Company, Mansfield, Connecticut – Company established 1827/8. Messrs. Horstmann and Sons in Philadelphia – Son of William Horstmann from Germany began manufacturing narrow goods on Jacquard looms in 1837/8. ________ Boston, Massachusetts – Had a ribbon loom which wove 12 ribbons at one time run by one person. Messieurs Plymton, Stevenson and Company in West Newton, Connecticut – Company possibly connected to one in Boston at the same time. They produced their ribbon on a braid-loom with a Jacquard attachment. In 1860, they produced $118,000 worth of fancy silk goods. In 1855 they produced $38,000 worth of ribbons and dress trimmings. Dexter, Lambert, & Co. – organized in Boston in 1855. Moved to Paterson, New Jersey 1876. Samuel Bertchy & Co. in New York. – Established 1856, making narrow goods. Began making millinery ribbons in 1866. 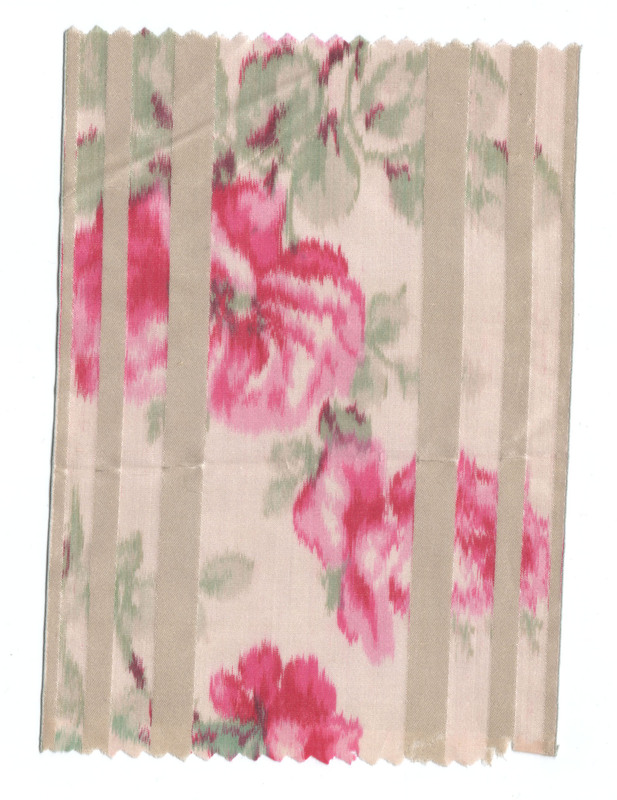 Towles, Tallerman & Co. in Baltimore, Maryland – Established in 1861 making ribbons. Became the Monumental Silk Works and Silk Manufacturing Company after 1870. Mill burned in 1873. Strange & Brother in Paterson, New Jersey – Established in 1863. Became one of the largest silk ribbon manufactures in the 1870s. Werner Itschner & Co. in Philadelphia – Began ribbon manufacture in 1864. Moved to Germantown in 1865. Crenfeld & Elberfeld, Prussia – Several manufactures in that area. St. Etienne (Loire) France – While Lyons, France seems to be that country’s center for silk manufacture, St. Etienne is the ribbon manufacturing center. The Canton of Bale, Switzerland (Bale is French; Basel or Basle is English.